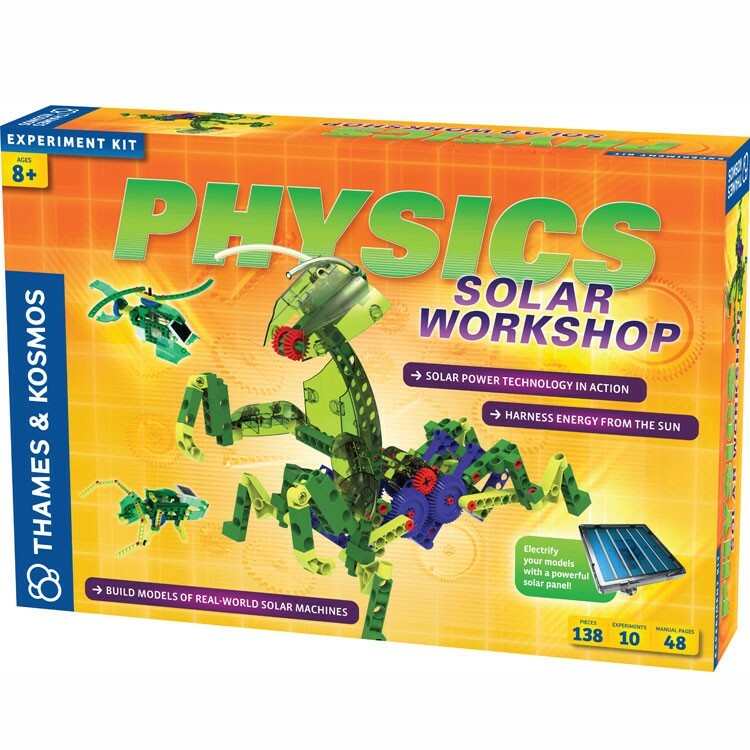 Thames & Kosmos Physics Solar Workshop for children explores the topic of solar energy, focusing on photovoltaic cells, harness and use of solar power in simple machines. Thames & Kosmos' award-winning bestseller, Physics Solar Workshop, comes in its 2.0 edition. 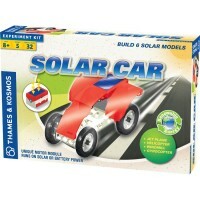 In one way or another, almost every form of energy we use originates as energy from the sun. 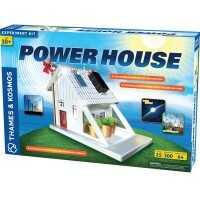 Solar energy directly powers photovoltaic cells and thermal collectors. Indirectly, we get power from plants grown by the sun, oceans heated by the sun, and Earth's weather systems sustained by the sun. 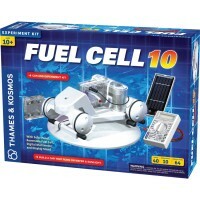 Even the energy stored in fossil fuels originated as energy from the sun, captured by plants and animals millions of years ago. 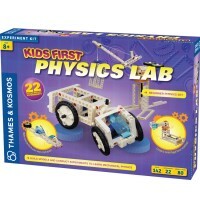 Physics Solar Workshop Construction Science Kit teaches the young scientists about the solar energy, focusing on photovoltaic cells. 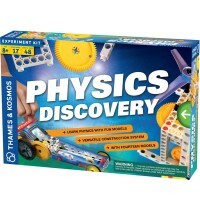 This hands-on physics science toy features 138 pieces and 48-page illustrated instructions to build 5 solar powered models and conduct 10 experiments related to solar energy. 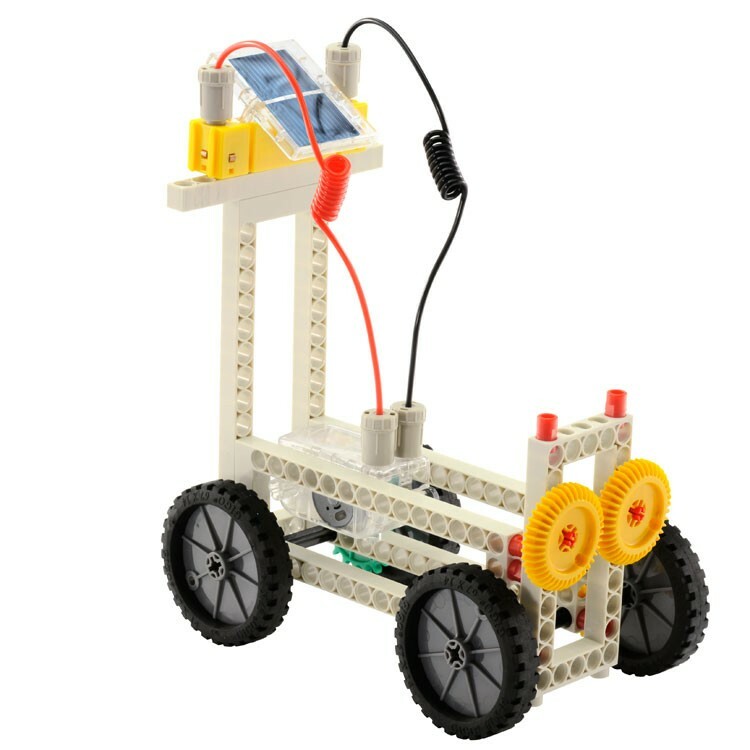 Learn how solar cells transform light into electrical energy, and how motors and mechanical devices can optimize the work done by this energy. 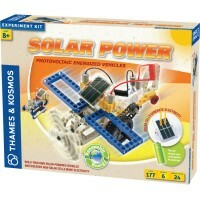 With this solar power building kit you can construct 5 vehicle models including a helicopter, solar robot, moon rover, stag beetle, and praying mantis. 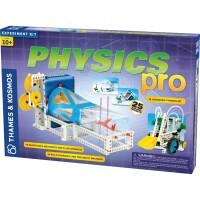 These moving models will demonstrate how gears can convert and transform power for different needs. 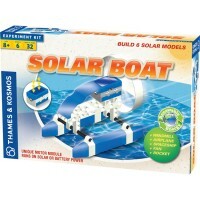 Electrify these models with a powerful solar panel and move them around. 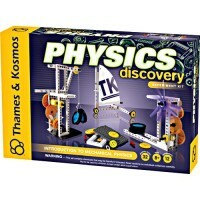 The Physics Solar Workshop Construction Science Kit is compatible with other Thames & Kosmos' physics and engineering science toys from Educational Toys Planet. 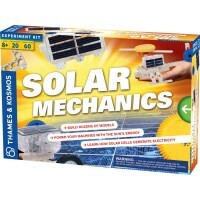 Write your own review of Physics Solar Workshop Construction Science Kit.